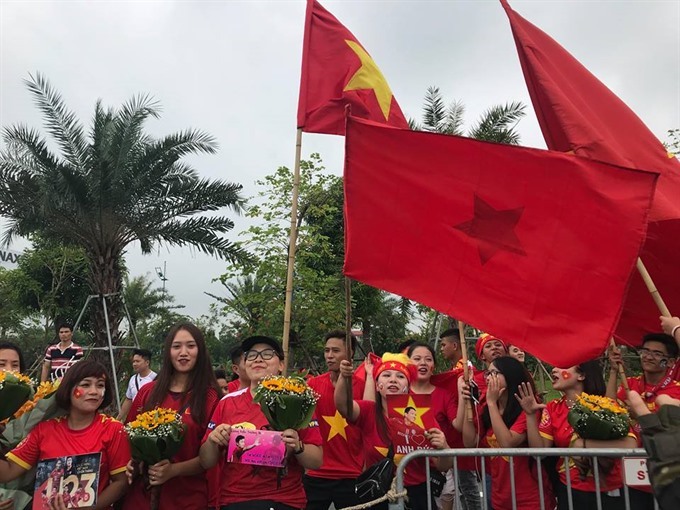 Despite the rain, thousands of Vietnamese fans welcomed the Việt Nam sports delegation home from the Asian Games (ASIAD) 2018 in Indonesia, including the Việt Nam Olympic football team. 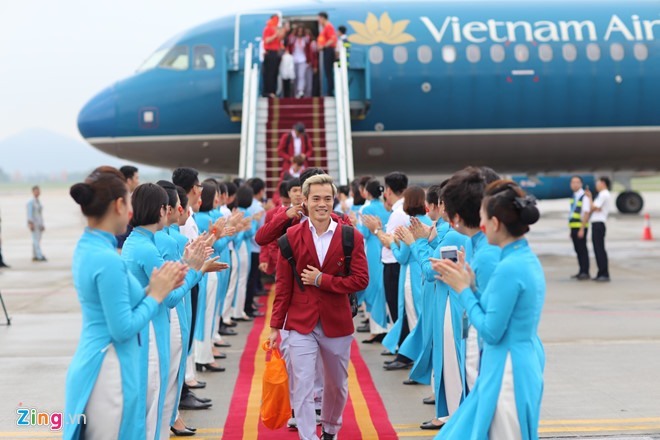 The athletes landed at Nội Bài International Airport in Sóc Sơn District, Hà Nội this afternoon. 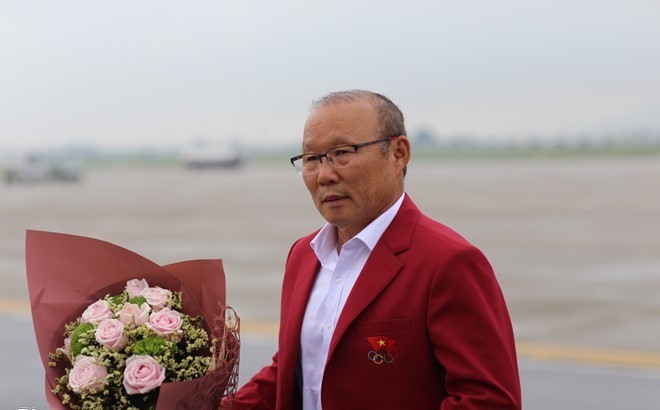 This year’s ASIAD saw the successful participation of Việt Nam, bringing home four gold medals, 16 silvers and 18 bronzes, ranking 17th in the medal tally. The Việt Nam Olympic team were praised for reaching the bronze-medal football match for the first time ever. Although the team lost to the United Arab Emirates (UAE) 3-4 in a penalty shootout, their performance was celebrated by fans and the boys returned to a hero’s welcome. Việt Nam’s journey to the competition’s top four teams gives hope for the team to advance further at the continental level. Earlier, at ASIAD 2014, Việt Nam’s football squad were knocked out in the round of 16 after losing to UAE 1-3, while the Việt Nam delegation won just one gold medal, 10 silvers and 25 bronzes to rank 21st in the overall medal tally. After departing Nội Bài International Airport, the Việt Nam team moved to Hà Nội-based Mỹ Đình National Stadium to take part in a ceremony honouring the athletes for their achievements in Indonesia. The ceremony will take place from 5pm to 7pm today. 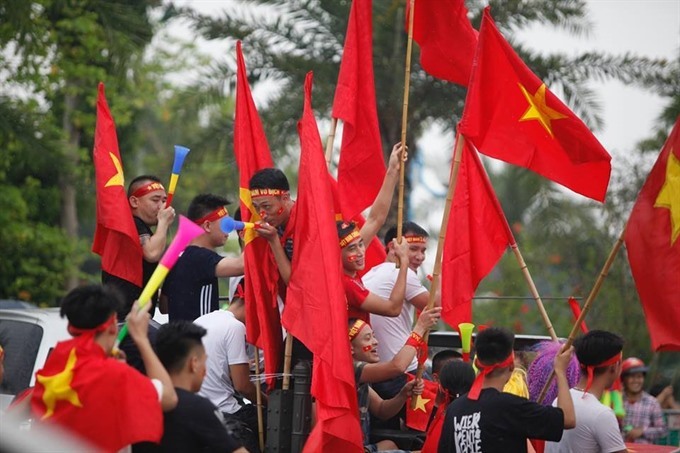 Vietnamese fans will have the opportunity to see the outstanding athletes and players of the Việt Nam Olympic team and enjoy art and cultural activities. The celebration aims to encourage athletes and trainers participating in ASIAD and is also a cultural and sports event of great significance to mark the country’s National Day (September 2).